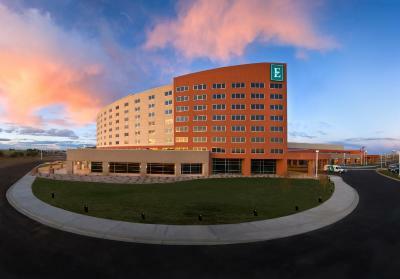 Lock in a great price for Embassy Suites Loveland Hotel, Spa & Conference Center – rated 9.3 by recent guests! It’s beautiful. 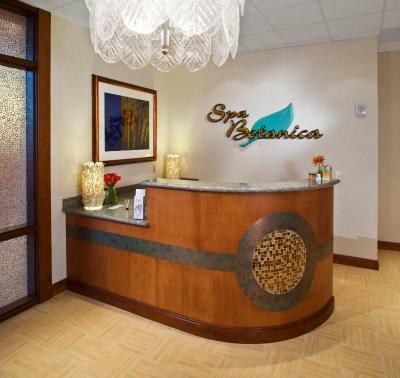 The spa there is amazing!!! Annie did a great job with my massage! People are very nice! 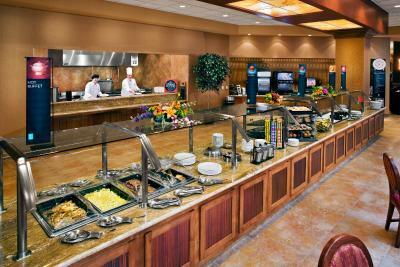 Great breakfast, comfortable rooms with lots of space. We love the extra touches, treasure chest for the kids to pick a toy, games and books in the lobby. 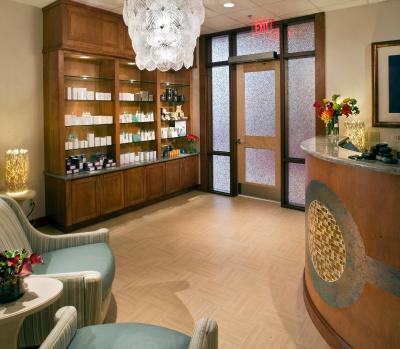 This is our favorite hotel for a little staycation. The breakfast is always great. My family always has a good time staying at your hotel. That pool was open tell midnight and the continental breakfast is very good. Great room, clean! Courteous staff. Great breakfast. All that we find every time we stay. 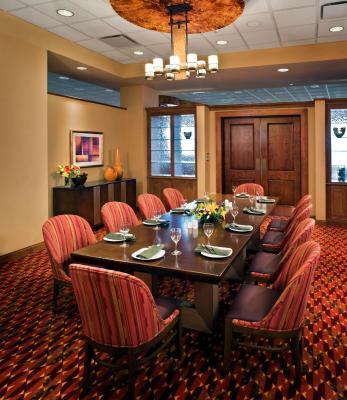 It's a wonderful place to stay when attending events at the Budweiser Center. The staff is super friendly and attentive, the bar and grill is great food is really good. Breakfast was amazing, the pool was great and so was the hot tub and room service was on point as well. Bed was comfy and our stay there was a great experience. The minute we walked in we were impressed! The open structure was welcoming and the decorations just beautiful (it was December 1). Then there was a reception hour where we got a free drink and the bar tender was friendly and genuine. And of course breakfast in the morning exceeded expectations with the omelette station. 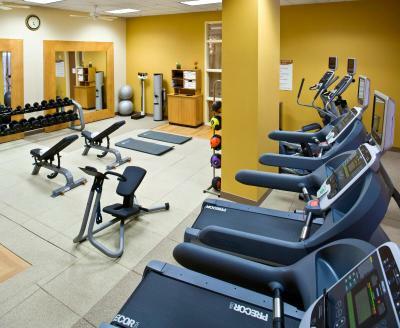 Great fitness center and buffet. Nice to have a place to buy drinks, snacks, and souvenirs. 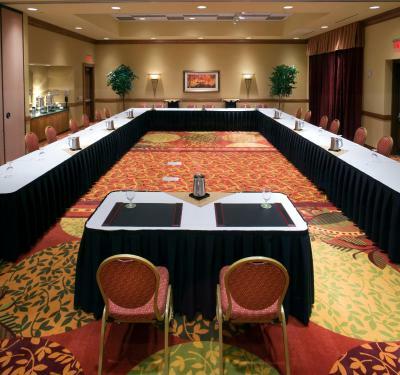 Embassy Suites Loveland Hotel, Spa & Conference Center This rating is a reflection of how the property compares to the industry standard when it comes to price, facilities and services available. It's based on a self-evaluation by the property. Use this rating to help choose your stay! 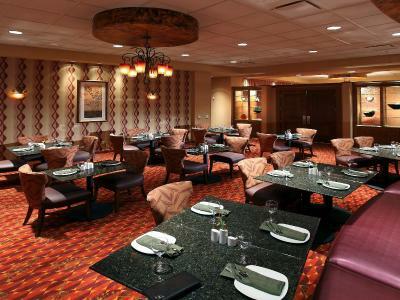 One of our top picks in Loveland – and a guest favorite. 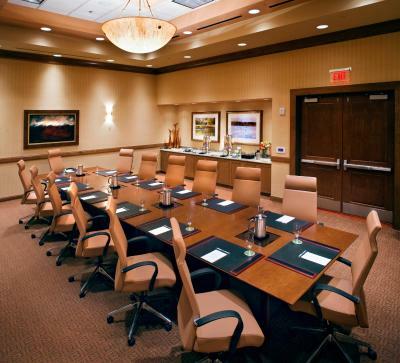 Located 10 minutes from downtown Loveland, Colorado and 25 minutes from Rocky Mountain National Park, this hotel features an on-site spa and a restaurant. Room service is available. 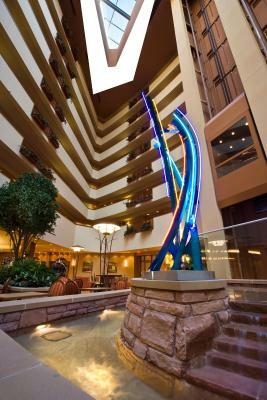 The suites at the Loveland Embassy Suites include a flat-screen TV and a sofa bed. A refrigerator and microwave are also provided. Wi-Fi is available for a fee. 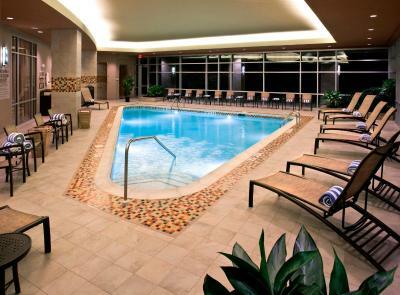 Embassy Suites Loveland Hotel hosts a gym, indoor pool and jacuzzi. 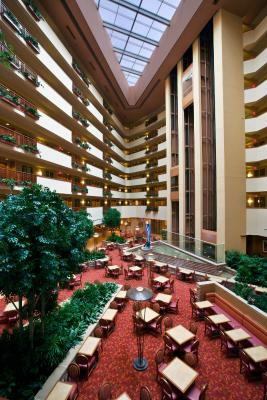 The hotel offers complementary shuttle service to/from surrounding attractions. Concierge service is available. 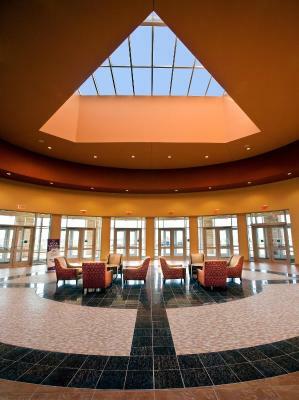 Fort Collins-Loveland Airport Municipal Airport is less than 5 minutes from Embassy Suites Loveland Hotel Spa and Conference Center. Boyd Lake State Park is 15 minutes from the hotel. 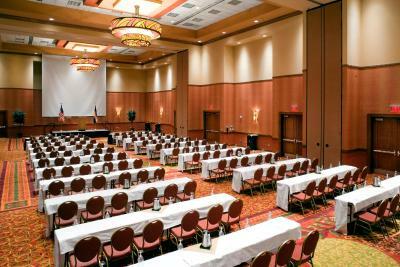 When would you like to stay at Embassy Suites Loveland Hotel, Spa & Conference Center? This suite features a mountain view. Featuring a mountain view, this room provides a microwave and a refrigerator. 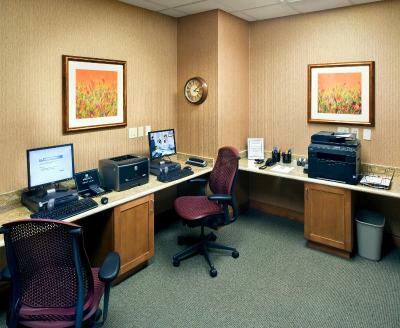 This room offers hearing accessible options. 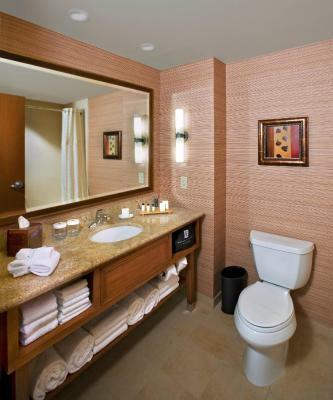 Featuring a mountain view, this spacious suite provides a microwave and a refrigerator. 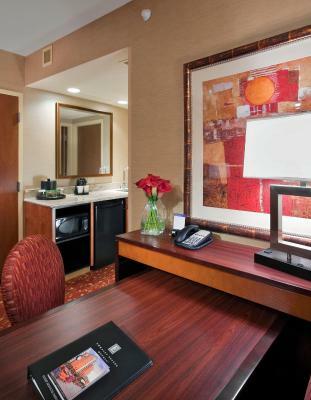 This room features a sitting area, a desk, a flat-screen cable TV, a microwave, a small refrigerator and a minibar. 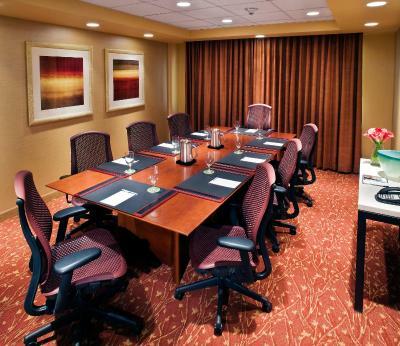 This quadruple room features a seating area, flat-screen TV and tea/coffee maker. This quadruple room has a seating area, air conditioning and microwave. 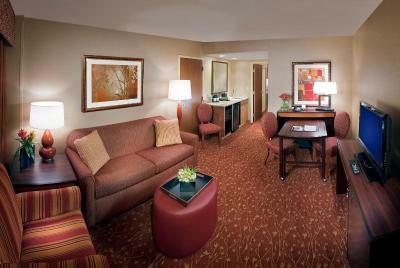 This suite features a mini-bar, tea/coffee maker and cable TV. 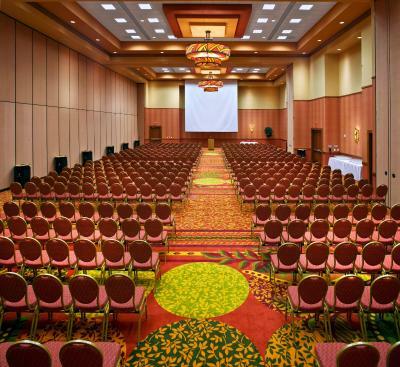 House Rules Embassy Suites Loveland Hotel, Spa & Conference Center takes special requests – add in the next step! Any additional children under 4 years are charged USD 15 per person per night when using existing beds. 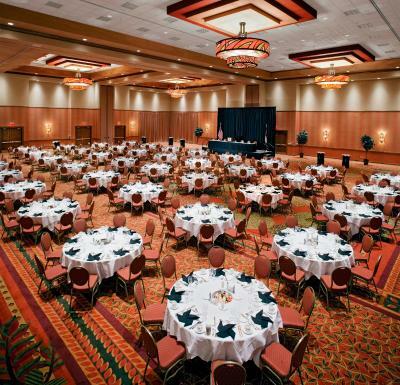 Embassy Suites Loveland Hotel, Spa &amp; Conference Center accepts these cards and reserves the right to temporarily hold an amount prior to arrival. Embassy Suites Loveland Hotel, Spa & Conference Center accepts these cards and reserves the right to temporarily hold an amount prior to arrival. I didn’t like finding a bunch of little hairs in our bed. It made me question what else was missed. We asked for a late check out the morning of and the hotel was very accommodating! The free drinks and snacks were super nice as well. The food wasn’t that good in their restraunt. I should have been charged the rate I reserved the room at initially. 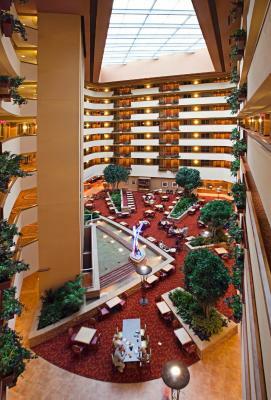 The inside of the hotel is beautiful!